Aircraft owners are always in search for ways to better protect their valued assets and steel aircraft hangars are deemed the way to go. They want a secure shelter for their aircraft to avoid any unnecessary damage from harsh weather conditions such as snow, hail, sun, rain, and ice. For pilots, they would rather be up in the air flying instead of doing repairs or upkeep on the ground any day. In most cases, steel aircraft hangars are regarded the best option across the U.S. for obvious reasons that they are more durable than any conventional buildings. They are engineered to effectively resist water, mildew, termite, and mold. As a result, they are less susceptible to wear and tear, unlike the more traditional building systems. More importantly, they can withstand any potential ravages that the Mother Nature will throw at them as they have tight connections. Not even earthquake or fire can easily put them down. For savvy costumers, steel aircraft hangars can also be easily customized to suit the special needs of each kind and size of aircraft. Not to mention that they are also the most cost-effective solution. You can achieve your preferred style and design and still maintain your budget. In the long term, you will only have fewer concerns and less money requirement to spend on upkeep as compared to conventional types of construction. Design-wise, you can easily enhance the appearance of steel aircraft hangars by adding stone, brick, glass or pre-cast concrete. After all, investors and aircraft owners want not only a functional structure to protect their assets and ensure a manageable storage and maintenance space. They also want it attractive. Flexible – Steel aircraft hangars are pre-engineered to comply with various federal and local regulations in terms of appearance, type and size, both in private and public airfields. There is a wide range of configuration options available that gives you the liberty to customize your steel aircraft hangar while at the same time satisfies building codes. 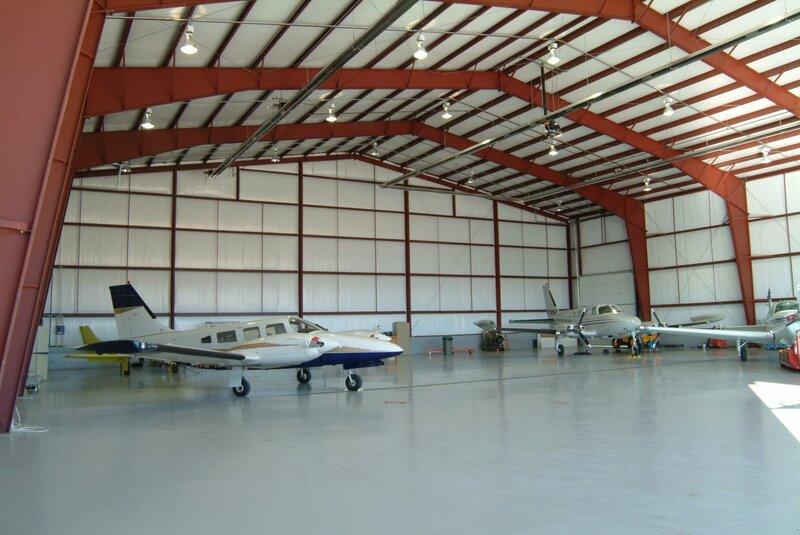 Durable – Steel aircraft hangars guaranteed for long years of beneficial service as they are highly resistant to mildew, water, termites, and mold, making them less susceptible to wear and tear over their course of life. They can stand up to most extreme weather conditions. They are able to withstand winds up to 150mph. That equates to less maintenance and repair costs compared to conventionally-built structures. In most cases, they are virtually maintenance-free. No wonder, most steel aircraft hangar kits come with 40-50 years of warranty. Quick-to-erect – Steel aircraft hangars are pre-punched, pre-drilled, pre-punched and pre-welded at the factory resulting in a simpler, more economical and faster construction. Simply put, they are meticulously engineered for easy assembly and erection. Optimal storage space – Steel aircraft hangars provide the greatest possible storage space that can accommodate single or multiple aircraft with wide-ranging wingspans and heights. These are just a few reasons why most aircraft owners go for steel buildings to store their valued assets. We couldn’t probably finish the whole article if we will put down all the benefits of going for steel. The bottom line is, if you’re thinking of a business to start, building your own steel aircraft hangars for rent is a good idea. It is something you will most likely not to regret. When you talk about the aircraft industry, you would be surprised to realize that even the smallest of the planes amounts to thousands of dollar initial investment and even more money are allotted to maintenance. In recent years, one industry that has opened up more opportunities for property developers is the personal aviation. The demand for more space in the aviation industry increased further as more companies, as well as individuals, add to their fleet. 1. Door type and size. From an aircraft owner’s standpoint, one of the most important things he considers before choosing a steel aircraft hangar is the type and size of the structure’s door. The largest of his aircraft to store is more likely in his mind. The choice of door is also influenced by the weather situation in a particular area. In cold areas, for instance, doors on tracks may not be the ideal choice as snow and ice may build up in tracks and may be challenging to remove. From the steel aircraft hangars operators’ point of view Meanwhile, the type of door can affect the design of the building as the structure itself requires being able to sustain the additional weight of the door or doors. They also need to meet aircraft’s space clearance needs. The door options available for steel aircraft hangars are stacking, bi-parting and bi-fold. 2. Usable space. The building’s usable footprint is a necessary consideration. For steel aircraft hangars, the ideal structural design is a column-free. A structure that is supported by columns create obstacles and hence results in much less usable space compared to a clear span. A column-free meanwhile offers a maximum clear span space and various eave heights available. One thing a steel aircraft hangar must achieve is to be able to provide a multiple plane storage option under one roof. 3. Lighting, electrical outlets, insulation, venting, and heating system. Seek advice from your steel aircraft hangars dealer or manufacturer before making your decision. Make sure however that you are dealing only with reputable organizations who know well your local building codes and will help you easily obtain building permits and pass inspections. When choosing a steel aircraft hangar kit, it is best to seek guidance from an expert. Your manufacturer will be glad to assist you for sure. When planning to venture in the business of building steel aircraft hangars to rent them out, consider your potential customers’ storage needs, both in current times and in the future. Consider also amenities that you might want to include to attract your customers. It is also a better idea to turn your steel aircraft hangar into a multi-purpose building – from storing of aircraft and equipment to service.